The ancient Maya ruins of Chinkultic, situated on the western edge of the Lakes of Montebello National Park, offer interesting temples and ancient buildings to explore and dramatic views across the area’s landscape and jungle. The site is within easy reach of Comitan and a great stop-over on the way to or back from Lakes of Montebello. 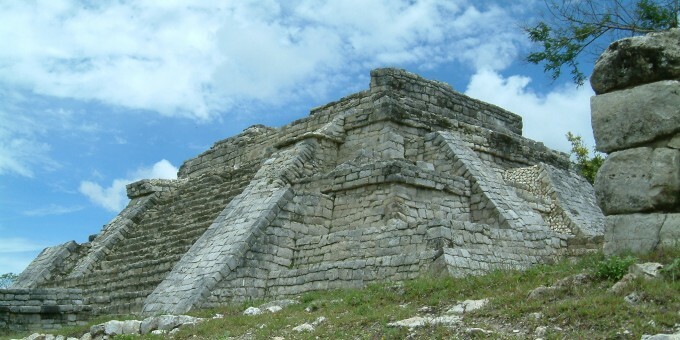 The site dates back to as far as 600 AD, and was probably one of the western-most outposts of the Maya civilization. The site is not as well excavated as other Maya sites such as Palenque and Chichen Itza, but the location is well worth a visit as it offers good atmosphere and incredible views from the Acropolis at top of the hill. The site is very much out in the jungle; it’s hot and humid so sunscreen, bottled water and insect repellent are essential here. Chinkultic only requires an hour or two at most to visit. As you enter the site, you’ll walk past several structures which are still only partially excavated and still covered by extensive vegetation, including the Plaza Hundida (Sunken Plaza). A small stone bridge crosses the stream and the topography begins to get steeper—a brisk walk up a semi-stone pathway leads you up the main temple of the site, the Acropolis. From the top of the hill, you can explore some ruined remains of the Acropolis and get some great views of the surrounding landscape and jungles. It’s very quiet and serene here. Below and to the left as you look out from the Acropolis, you’ll see a cenote—an ancient water reservoir. Cenotes were an important source of water for ancient civilizations and they can be seen across all Mexico, especially near archaeological areas. This cenote is special in that it is the only known one in the state of Chiapas. By Car: To get to Chinkultic from Comitan, follow highway 190 for about 15 km, turning east at the signpost; this is before you get to the town of La Trinitaria. This road passes the Maya Ruins of Chinkultic and later enters the forest of the National Park of the Lakes of Montebello (Parque Nacional Lagunas de Montebello). Car Rental: To explore the local area around Chinkultic and Chiapas, consider renting a car locally. Having your own car will give you more flexibility than using public transport options and, in some cases, offer you access to places which are otherwise difficult to visit without the use of a car. 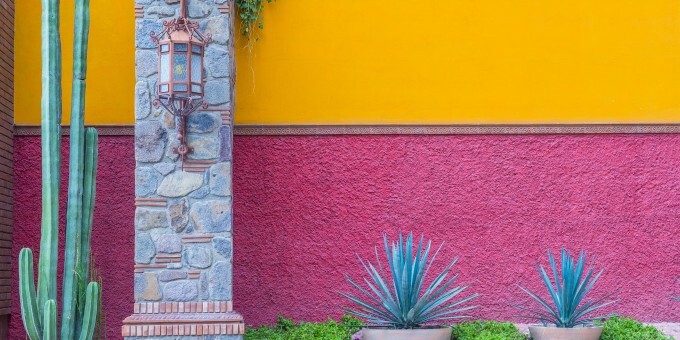 Read our guide to Car Rental in Mexico to learn about car rental in Mexico. Opening Days & Times: 7 Days a week; 8 am to 5 pm Admission charges apply (check with local tourist office for latest admission prices). Ideal Clothing & Footwear: You’ll need a good, comfortable pair of walking shoes with a non-slip sole. Wear light clothes – it gets very hot and humid here. Insect repellent is essential in Chinkultic as this site is located in the jungle. See Local Climate, below. The area surrounding Chinkultic has jungle weather: extremely hot and humid. Dress with light clothes that allow your skin to breathe; natural fibers (cotton) are best; avoid synthetics (e.g. polyester) and denim as you’ll feel very uncomfortable wearing them in this jungle climate. Bring sun screen, insect repellent and a hat. Carry plenty of water and stay well hydrated at all times.